The complete program can be downloaded as a PDF file: Cultura21Forum_Program(ENG) modified recently! Registration is required (see below) – Please notice that this event will be bilingual, but the main language will be German (and there will be no translation service)! The “Cultura21 Forum” starts on Friday evening with a public event in the “Studio Kunst und Landschaft”. The ecological artist Insa Winkler will offer a guided tour on the terrain. Three guest speakers will give an introduction to “culture(s) of sustainability (the role of gardening culture)”. On Saturday registered participants of the “Cultura21 Forum” will get the chance to take part in specific workshops and open space sessions. The Sunday also is a public event and will contain three speeches and a panel discussion. The speakers will deal with the vision of participative and collective cultivation of ecology in rural and urban areas. The forum will end with a “guerilla gardening” intervention, which will be prepared the day before. 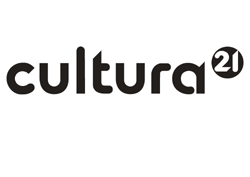 By organizing an annual “Cultura21 Forum”, Cultura21 in Germany wants to concentrate all the positive energy of its members and also of like-minded organisations. The aim is to make possible a regular exchange between the participants. Furthermore, other initiatives treating the issue of a “culture of sustainability” should be given room to grow and develop. The basic idea of the forum is to have both a thematic focus and an open space part in the program. The open space part is meant to be the source for new project ideas, created in free exchange and discussions. These parts are linked with each other in the program and complement one another. The main topic of the “Cultura21 Forum” 2011 is: “The cultivation of ecology/-ies: gardens and complexity in rural and urban areas”. Our attention will be especially turned to “guerilla gardening”: guerilla gardening is known as a creative-subversive type of civil disobedience and political protest from the 1970s in New York. Over the years a development has taken place, and nowadays guerilla gardening can be seen with the perspective of “urban agriculture” and “urban gardens”. This type of protest combines the adornment of concrete-dominated urban areas, the temporary use, the greening of idle areas and also the possibility to harvest. Besides planting “surprise gardens”, seed bombs are the most familiar type of creative protest. They contain a mixture of seeds, soil and clay, shaped like a ball. You then normally just drop these bombs wherever you wish. Further aims are the enforcement of self-supply, protest against the agro-industry and the sowing of unusual seeds. Guerilla gardening is quite controversial and therefore will be discussed in the panel discussion. There will also be a workshop on “seed bombs”. On Sunday, they are supposed to be launched/sowed by the participants next to a piece of farmland. University of the Trees is a global participatory network – online and on the ground recognising different kinds of thinking and knowledge, and prioritising experiential knowing. It enables creative initiatives to share their ‘knowledge’ and approaches to envisioning how we might live in the world without destroying it and each other. It is an alternative, mobile university that offers ‘instruments of consciousness’ and approaches for exploring the connection between imagination and transformation, and for developing new forms of creative action. It is a flexible framework for social-ecological action in which the trees are our teachers and the ecological crisis is seen as an opportunity for consciousness. Research Associate at the Institute of Cultural Theory, Research, and the Arts (ICRA/IKKK) at the Leuphana University Lüneburg ; member of Cultura21 e.V. since 2006 ; founding coordinator of the international platform of Cultura21 and founding director of the International Summer School of Arts and Sciences for Sustainability in Social Transformation (ASSiST). The focus of his scientific and cultural work is on the transdisciplinary field of arts an (un)sustainability. Oleg Koefoed, action philosopher, is the founder of the “Gravitations Center for Action Philosophy” and founding director of Cultura21 Nordic (with its headquarters in Copenhagen). Hildegard Kurt, cultural scientist, author and working on social sculpture, is one of the key figures for the intercession of arts and sustainability in Germany. She is head of the Berlin “und.Institute für Kunst, Kultur und Zukunftsfähigkeit“ (und.Institut) [und.institute for arts, culture and sustainability] which she was a co-founder of. She is also working at the “Social Sculpture Research Unit (SSRU)” at Oxford Brookes University in the UK (which is led by the artist and former Beuys-student Shelley Sacks). For the “anstiftung & ertomis” foundation, Christa Müller did research on the intercultural potential of urban gardening in the international gardens of Göttingen. She co-founded the network “Interkulturelle Gärten” [intercultural gardens] and the “Interkultur” foundation. Cultural scientist, Rana Öztürk did her MA Thesis on “Sustainable Fashion: New Approaches within the Fashion Industry”. Member of Cultura21 e.V. since 2007 ; Chairwoman of the German organization since 2010., Rana Öztürk is the Communication Administrator at the artist’s workshop of Anselm Reyle. Insa Winkler works as a landscape architect and environmental artist. “Die Artenvielfalt-Route” [the biodiversity route] is a participative project “in my neighborhood” about art and ecology. By means of education and visualization of life-forms, a mapping exercise of biodiversity is conducted. The result is a new corridor between the agrarian landscape and the urban areas, which is perceived as an ecological and public area. People are actively motivated to protect areas or even to increase the biodiversity in their own garden. Reduced participation fees are only for students and unemployed persons (please provide supporting documents by email). Accommodation and travel must be organized by yourself. We recommend to book a room early enough and are happy to help you if necessary. Please find here a list with accommodations near Hude: PDF file (in German language). The Forum will take place in cooperation with the “Studio Kunst und Landschaft” in Hude and is kindly supported by the city of Oldenburg and by oldenburgische Landschaft. The „Studio Kunst und Landschaft” invites you to look at various theme gardens and park elements on their 1ha territory. Furthermore can be found several sculptural works and objects created by Insa Winkler and other artists. This is also the main office of “artecology-network”, founded in 2010. The Winkler family, who runs the place, also offers space for seminars, exhibitions, concerts, readings and conferences. 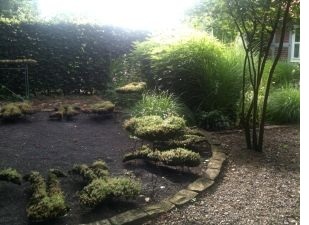 As well, Insa Winkler’s landscape architecture office and her studio are situated on the premises.